If you’re still lamenting the end of Steam’s Summer Sale, Green Man Gaming’s take on the concept is worth checking out. 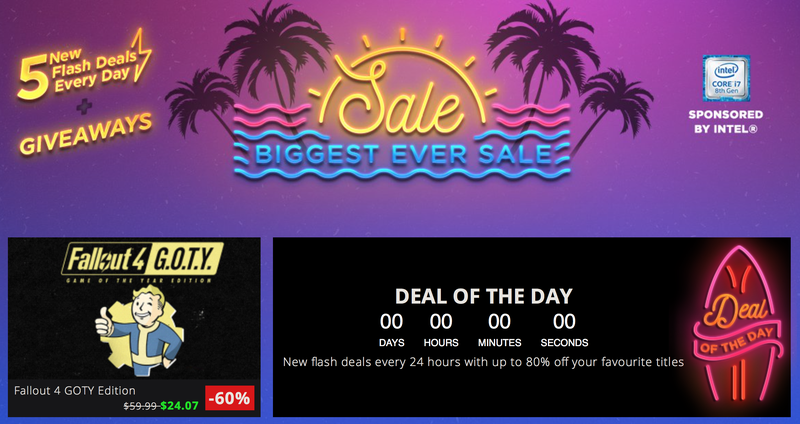 It’s the site’s biggest sale ever, and you’ll find discounts on over 5,000 titles, including daily and 12 hour flash sales that are worth checking back for. There’s a lot to sort through, so drop your favorites in the comments.